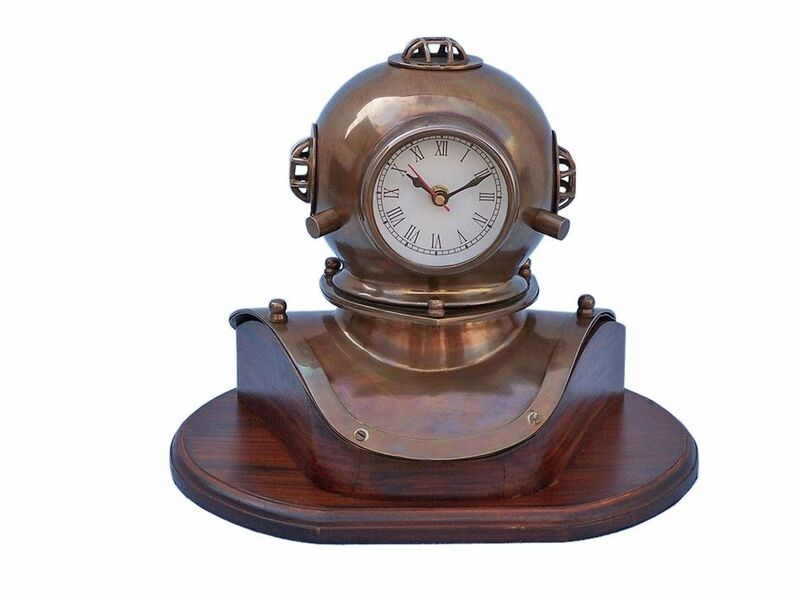 The Hampton Nautical Antique Brass Diver's Helmet Clock on Rosewood Base 12" is great nautical décor and sits well on areas such as a desktop or a mantle. The diver’s helmet, featuring a working quartz clock, is an antique brass miniature of our bigger diver helmet. The Antique Brass Diver Helmet Clock rests nicely on a high quality solid hardwood base that has a polished finished. A blue felt is placed on the bottom of the diver helmet clock base so it can rest on any surface without damage.